Home » Journal » Vol. 49, Issue No. 17, 26 Apr, 2014 » Left Parties - Pragmatic or Dogmatic? Ajay Gudavarthy (Gajay99@rediffmail.com) is with Centre for Political Studies, Jawaharlal Nehru University, New Delhi. 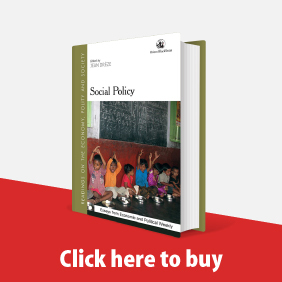 In 2004, when the United Progressive Alliance (UPA)-I came into existence, the Left parties played a pivotal role in deciding the content of the Common Minimum Programme and pushing social welfare policies, at the height of economic reforms. In fact, it was this continuous check of the Left Front, with their outside support to the government, that Congress promulgated the much acclaimed Mahatma Gandhi National Rural Employment Guarantee Act (MGNREGA) that literally catapulted it back into power in 2009. 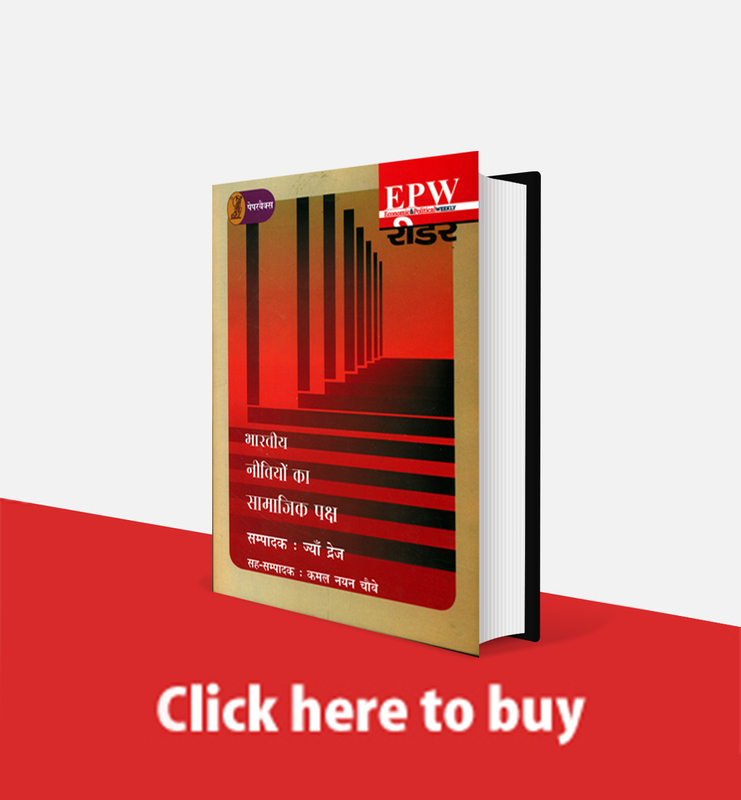 However in the 2009 general elections, the Left did not do so well electorally as compared to its previous tally of 60 Members of Parliament (MPs) in 2004, while Congress on its own managed to get 206 MPs. The Left parties did not support the UPA-II, and the story now seems to be very different as we are headed towards the general elections 2014, with neither the Left nor the Congress keeping good health. While the electoral prospects of the Congress look rather bleak, the Left parties have hardly made their presence felt. 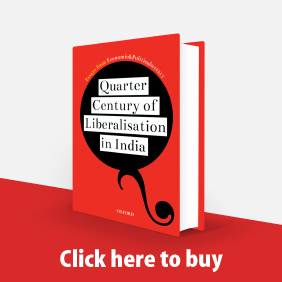 Is the Indian Left headed towards a terminal decline? The declining electoral presence and prospects of the Left parties is representative of deeper economic and political changes that have come about in the last couple of decades. These changes have multiplied the complexity of the challenge that the Left always faced on the social and electoral front, but this time around the Left looks ill-prepared to reinvent itself. India is one of the few large countries of the world that has a massive informal sector, accounting for 84.7% of the jobs in the economy. The increasing informalisation of the economy has posed a grave challenge to the conventional trade union modes of mobilisation and organising the work force that formed the traditional base of the Left parties. The new kind of “Footloose Labour” has no permanent firm or a regular employee. They are mostly self-employed and continue to migrate in search of work, making it difficult to mobilise them on any sustainable basis. 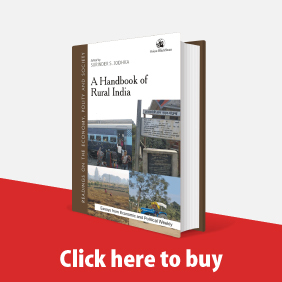 Similarly, on the rural front the traditional farmer`s movement has rearticulated itself along the lines of caste politics that is reflected in the rise of the politics of the other backward classes (OBCs) that aspire not for better returns in agriculture but what they perceive to be upward mobility with an opportunity to shift to the urban centres with secured employment. This phenomenon of being mobilised along caste lines is occurring alongside de-mobilisation along the traditional class-lines in spite of the growing agrarian crisis in many states, resulting in a spate of farmer`s suicides. It is clear that beyond a level of distress the subaltern cannot be mobilised into traditional protest forms. Neo-liberal economic reforms have not only dispossessed the rural poor but also disarmed them into submission. While the Communist Party of India (CPI) has played an active role in waging various struggles, including those against POSCO in Odisha, they have remained utterly localised, and the Left parties themselves have failed in linking them to other struggles at the national level. 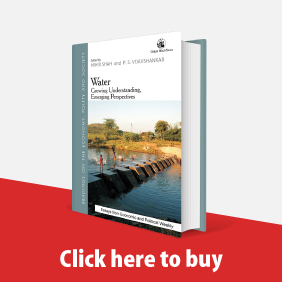 The debate in India has shifted from land reforms, a traditional slogan of the Left parties, to land acquisition. Today it is about protecting the land that the subaltern possesses, and not about “land to the tiller”. The debate has moved from redistribution to maximisation of wealth, as a purported viable strategy to even benefit the poor. Who has then occupied the streets that have been vacated by the subaltern? The streets have been taken over by an unlikely social class‒the urban middle class. It is today the middle classes that have taken to street protest politics ‒ conjuring, what Saskia Sassan refers to as the “global street”, all across the world from the Occupy Wall Street movement in New York to the Arab Spring in Egypt ‒ around the issues of corruption, violence against women and crime. It is the young among the middle classes that have become the new symbol of protest with their indomitable candle light marches. Street protests that have remained for long an inspiring transformative spectacle of the left politics are today the weapon of the privileged middle classes that have never constituted the social base of the Left parties. As middle classes have occupied the imagination of a resurgent nation, it has also eclipsed the presence of the Left parties. On the electoral front too the Left parties have been caught unaware of the fast paced changes that have engulfed it with the increasing “mediatisation of politics”. The Left continues to operate along with its old methods based on party programme and policy that are not easily amenable to the demands of mediatisation. In a recent interview Prakash Karat referring to the difference with AAP`s strategy of fighting corruption suggested that, “its not just a question of targeting some individuals; it’s a question of policy”. While symbolism can be without substance, but substance without symbols can be synthetic. In representative democracies, especially of the size and diversity of India, symbols and popular perception are of immense significance. This also adds a further complexity where issues that are pertinent in terms of economy and sovereignty of the nation, need not necessarily be electorally viable. This was precisely the point that it is perhaps the Left parties alone that could have withdrawn their support on an issue such as Indo-nuclear deal in 2008 that meant little in much of rural hinterlands and in gaining electoral returns. But if such issues are considered important, it is pertinent to ask how does one then convert them into an electorally viable strategy? Ideologically oriented parties will always face the dilemma of how much to change and compromise in terms of the vagaries of popular democracy, unlike parties such as AAP which can one day fight Ambani and on another day can declare to the Confederation of Indian Industry (CII), as Arvind Kejriwal did that “government has no business of being in business”. He in fact declared that AAP has nothing against capitalism. It could protest against violence against women by doing a sit-in one day and declare khap panchayats as cultural organisations on another day. This pragmatism in AAP`s own self-understanding is representative of its open-minded, unscripted and creative political potential. In opposition to AAP`s pragmatism is the thin line between ideological commitment and rugged dogmatism of the Left parties. The choice between pragmatism and dogmatism is one that has consistently bogged down the Left parties. Finally, in the run up to the 2014 General Elections, the Left has desperately yet again attempted its old fashioned method of cobbling up a third front, as an alternative to both the Congress and the BJP. Mostly, the third front`s were forged either against the corruption of the Congress or the communal politics of the BJP. It was a front forged by exclusion, in other words it was more important who was being excluded rather than what is being included. In today’s so-called post-ideological scenario where from Ram Vilas Paswan to M J Akbar have found their own reasons to join the Modi bandwagon, the Left parties really have no clue how to constitute an alternative front. Ideally, they should have attempted to project an alternative social democratic and pro-welfare agenda as the basis for bringing various regional parties together. By abdicating common and alternative agenda as the viable basis for the third front, the Left parties too have followed suit and are consumed by the number game. For instance, in Andhra Pradesh, the Left parties led the farmer`s agitation against Telugu Desam Party for increasing the electricity tariff as part of the World Bank initiated changes but decided to enter into an alliance with the same party in 2009 assembly elections. The wedge between Left parties` political vision and electoral calculations has also pushed them into what looks like a serious crisis in the clarity of their thought and choices they are making. Similarly, Left parties that rejected the offer of making Jyoti Basu the Prime Minister in 1996, are today being turned away from the doorstep of the All India Anna Dravida Munnetra Kazhagam (AIADMK), this indeed makes for a rather traumatised picture of what is left of the Left. Whether the current brand of octogenarians and septuagenarians can find one last opportunity to seriously introspect the orientation and direction that Left parties need to take in times to come, is indeed a “million dollar” question.